In collaboration with customers and partners, Yara grows knowledge to responsibly feed the world and protect the planet, to fulfill its vision of a collaborative society, a world without hunger and a planet respected. Our crop nutrition solutions and precision farming offerings allow farmers to increase yields and improve product quality while reducing environmental impact. Our environmental and industrial solutions improve air quality and reduce emissions, and are key ingredients in the production of a wide range of products. We foster an open culture of diversity and inclusion that promotes the safety and integrity of our employees, contractors, business partners, and society at large. 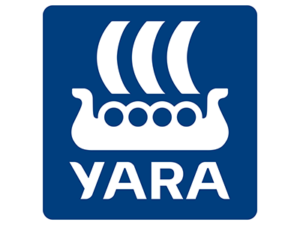 Founded in 1905 to solve emerging famine in Europe, Yara has a worldwide presence with more than 17,000 employees and operations in over 60 countries. In 2017, Yara reported revenues of USD 11.4 billion.